Sephora has a new hot Free Deluxe Sample offer! 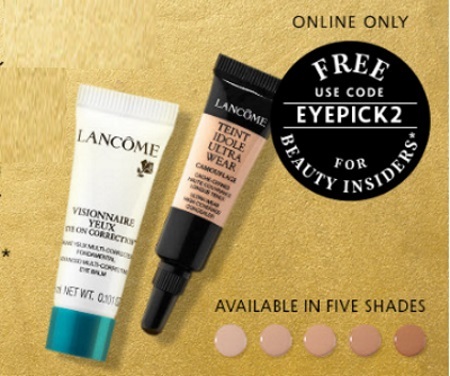 Get a Free Deluxe Sample of Lancome Visionnaire Eye Cream Advanced Multi-Correcting Eye Balm and Teint Idole Ultra Wear Camoflage Concealer with any $25 online order. Enter the promo code EYEPICK2 at checkout. Eye cream comes in five shades for this sample. Be sure you choose the eye cream AND concealer at checkout, you get both for this offer! Offer available while quantities last. Beauty insiders only.